The Otter + Pop Symmetry Series cases have a built-in section on the back for a PopGrip and swappable PopTops, allowing users to personalize their case to their needs. 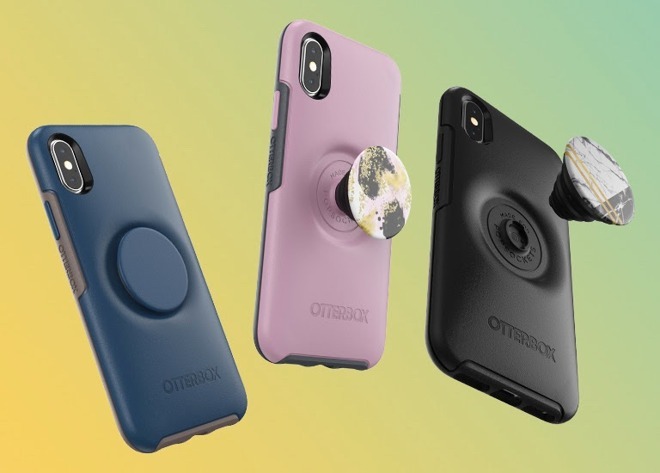 With the PopSockets grip, a PopTop can be added to the back, giving an extra section to make one-handed usage of the iPhone easier, and reduce the chance of dropping the device. When not in use, the integrated grip can lie flush with the case, allowing it to resemble a more conventional protective covering. The case itself features the same streamlined design as OtterBox's Symmetry Series, with cutouts in the protective synthetic rubber and polycarbonate for the rear camera and side buttons. Shipping in the near future, the Otter + Pop case will start from $59.95 and include one case-matched PopTop, while individual PopTops will cost $8 each. OtterBox also revealed it was working with Corning to produce Amplify glass screen protectors. The range will draw on proprietary engineering and manufacturing techniques to create a long-lasting and durable protector, one that will be launching soon. 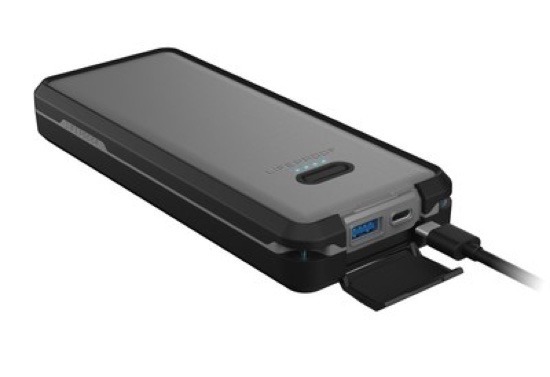 LifeProof's Lifeactiv Power Pack 20 is an improvement of the existing Power Pack 10, in that it uses dual 10,000-milliamp batteries rather than just one. Offering a 74-watt-hour capacity, it is capable of fully charging a notebook or serve as the sole recharging source for a smartphone or tablet for a weekend away, among other applications. The dual-roll USB-C connection includes support for Power Delivery, allowing for quicker recharges of compatible devices that are compatible with the feature, including current-generation iPhones. It is also a well-protected portable battery, with LifeProof claiming it is capable of withstanding submergence in water at a depth of 6.6 feet for up to an hour, a drop from a similar height, and is sealed from dirt and snow. The pack also includes a flashlight feature. The Lifeactiv Power Pack 20 is available now, priced at $99.99 directly from Lifeproof. Sorry. Don’t know how to post images. OtterBox + PopSocket = no wireless charging = fail.